I recently went on a business trip and decide to pop open a bottle with my coworker. 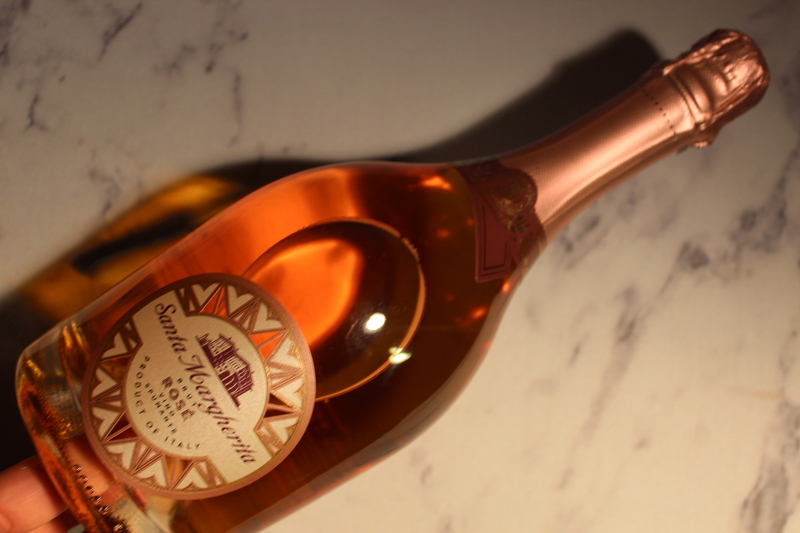 We toasted to our successes with Santa Margherita Sparkling Rosé. This pairs well with savory Italian appetizers, complex seafood dishes, and spicy, exotic seasoning of East Asian cuisines.